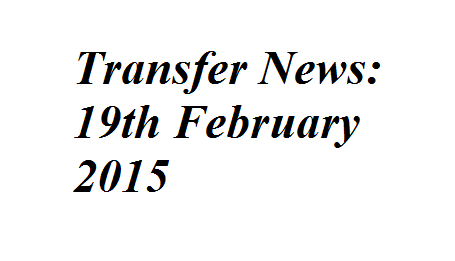 Transfer News: 19th February 2015 Terry want new deal at Chelsea, Pogba should stay, Walker on Manchester United’s radar, Gignac to leave Marseille and Llorente on Arsenal’s radar. John Terry wants new deal at Chelsea, Paul Pogba should stay, Kyle Walker on Manchester United’s radar, Gignac to leave Marseille and Fernando Llorente on Arsenal’s radar. Arsenal have reignited their interest in Juventus striker Fernando Llorente for the summer move, according to Metro. The reports reveal that the Spaniard could leave Italy at the end of the season. Chelsea veteran John Terry is eyeing a new deal at Stamford Bridge, as per Daily Star. However, the Blues have not started any discussions over his new deal. Juventus midfielder Andrea Pirlo has told Paul Pogba not to leave the club despite of strong interest from Chelsea and Manchester United, as per The Sun. Arsenal and Manchester United have been alerted as Benedikt Howedes has revealed his desire to play in the Premier League, as per Daily Mirror. The German was strongly linked with Arsenal last month. Manchester United boss Louis van Gaal is planning to make a move for Tottenham Hotspur full-back Kyle Walker, according to Daily Mail. The Dutchboss has shortlisted several right-backs. Andre-Pierre Gignac is set to leave Marseille as the French outfit are searching for his replacement. Liverpool and Arsenal are targeting Gignac, as per Daily Express.